Today's "New Band To Burn One To" is the Black Space Riders. It is pretty ironic how the name of the band fits the type of music the band plays to a tee as well as being a perfect fit for the theme of Heavy Planet. 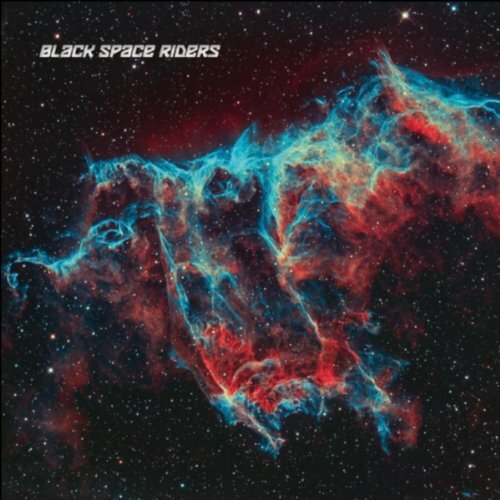 Black Space Riders play a spaced out brand of stoner psychedelic doom. With songs such as "Spacebomb", "Stoned Bikers in Space", and "Black Pt.2: Space is Black" how could you go wrong. "Black Space Riders resurrect the ancient gods! Earthbound: Boots covered with dirt! Heavenly insane: heads up in space! Fuzz-guitars meet psychedelic space-echoes, between very slow and very fast, between driving and dragging. The self-titled debut was recorded and produced during heavy snowfalls and arctic frost in the beginning of 2010 at “die Tonmeisterei” in Oldenburg (Germany). A full-blown, warm … spacious … open sounding recording with many details and a big love for vintage equipment resulting in a one-hour-trip through black and infinite space … a black book of cosmic salvation ... 13 hypnotic, heavy, guitar-driven songs between metal, doom, space-, psychedelic- and stoner-ROCK: space-doom, baby!" "In my opinion, bands that don’t mess about with endless effects and trippy alien sounds do some of the best space rock. Clutch’s self titled is easily one of the best albums dealing with such a subject matter and has little to no jet noises or echoed effects. Contrary to the genre, it’s grounded. When I got hold of Münster, German band Black Space Riders’ debut album, it blew me away (space pun) in a similar ‘grounded’ fashion. Sporting the tagline “Space Doom” and various references to hard rock stoner, this is music for a cosmic sect of astronomical biker gangs. Somewhere between the meat and metal of Alabama Thunderpussy and the chopping and changing musical breaks of Clutch, there really is no time for weird space reverberations when you’ve got riffs as big as those on “Hide From The Spacelight” to smash out. “Hide From The Spacelight” and “Black Book of Cosmic Salvation Part 2” are a couple of stand out tracks in this hour-long epic of a record.